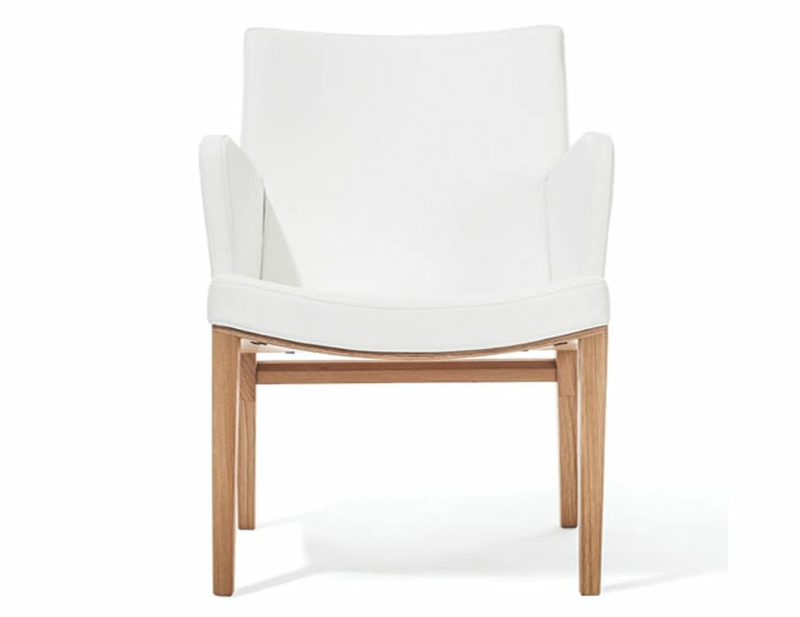 With hand-smoothed, natural oak and fine fabric or leather upholstery, the Moritz Lounge Armchair offers a simple, elegant form, a modern refinement. The Moritz designer lounge armchair offers the very best in modern designer style. 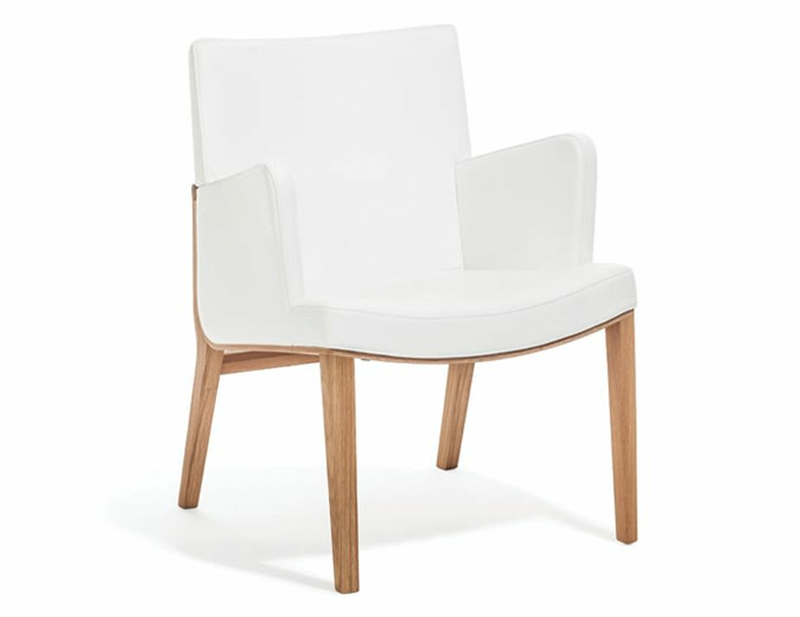 Reinvigorate your dining area or upscale your kitchen with the natural Oak Moritz Lounge Armchair from furniture designer Kai Stania. In this European made designer lounge armchair, good design and quality fabric or leather upholstery and oak come together to a design worthy of your attention. 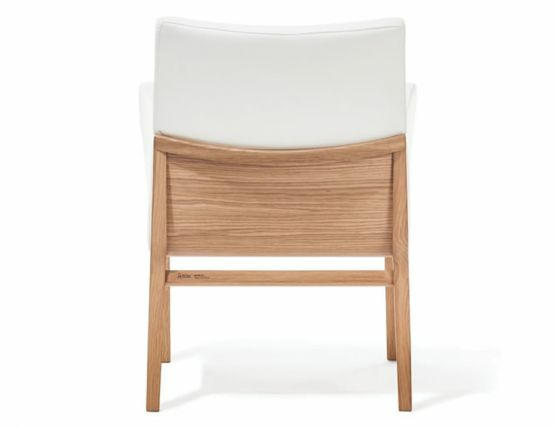 Designer Kai Stania proves that finely crafted furniture can still be modern and chic. 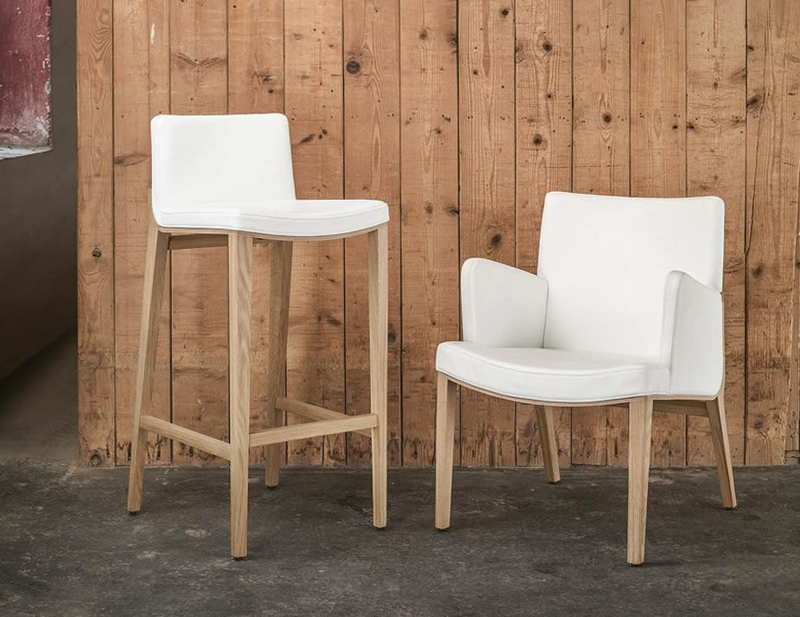 The Moritz collection from furniture designer Kai Stania and European furniture leader TON, includes a bar stool, armchair and the lounge armchair pictured here. The Moritz natural oak designer lounge armchair is replete with careful stitching, fine fabric or leather upholstery and design details that make this lounge armchair comfortable and stately.